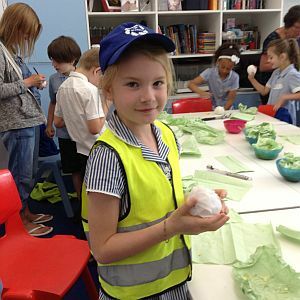 On Monday 29th June, Year 3 and 4 travelled by train to Maidstone Museum. We were excited to see an actual mummy (one of only a very few in the UK). 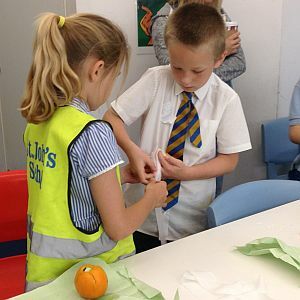 Year 3 took part in 2 fascinating workshops to enhance our recent history topic on ancient Egypt. Firstly, we had to order the events to preserve a dead body! Then we had to decide whether we had actual artefacts or replicas to place on the cards. 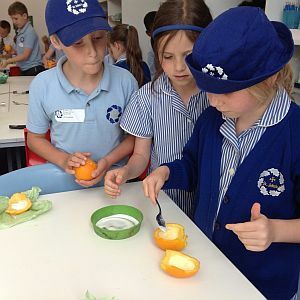 Next, we used the preservation process to mummify an orange. Scooping out the flesh reminded us of removing a mummified body’s brain! 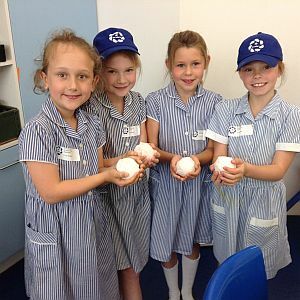 Year 4 participated in a food webs and habitats workshop learning about how various animals live in different habitats and their place in the food chain. We created food webs, in teams, using balls of wool for the different stages in the food chain, all around the museum. Our next workshop was to look at the portraits in the museum and recreate our own portrait in the style of Picasso. 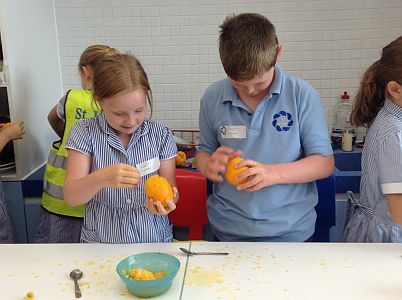 On their return, Year 3 voted that their favourite parts of the day were mummifying an orange and especially seeing the actual mummy – Ta Kesh.